Allen Tate Company is proud to announce that Sandra O’Connor, branch leader of the Allen Tate Green Valley office, has been elected as a regional vice president for the National Association of Realtors®. O’Connor is one of 13 elected individuals who oversee the work of NAR in their respective regions and act as a representative of the NAR president to identify problems or opportunities within the region. O’Connor will serve as vice president for Region 4, which includes North Carolina, South Carolina, Kentucky and Tennessee, for a one-year term beginning December 1, 2014. O’Connor was sworn in as vice president at the 2014 NAR Conference held November 6-10 at the Morial Convention Center in New Orleans. At the conference, O’Connor – 2014 North Carolina Realtor of the Year – was recognized before a group of 5,000 attendees by incoming NAR president Chris Polychron. She also had the opportunity to speak to Polychron’s close friend and former real estate client, President Bill Clinton. A former art teacher and law librarian, O’Connor achieved her North Carolina real estate broker’s license in 1983 and began her own independently owned real estate firm, Sandra O’Connor and Associates. After 20 successful years, with career sales over $73 million, O’Connor joined the Allen Tate Company in 2005. 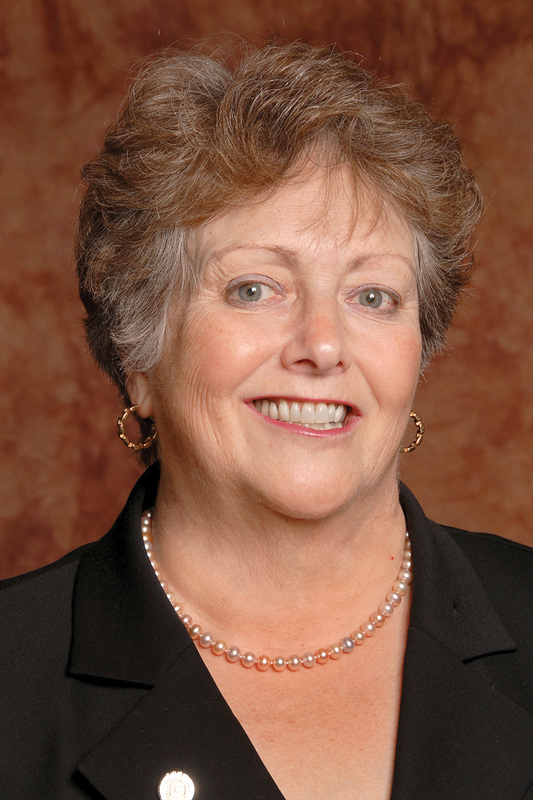 She has been an outstanding contributor to professional real estate trade organizations, including the GRRA and NCAR, where she served as president of the 42,000-member organization in 2009. In 2012, she was inducted into the Realtors® Political Action Committee (RPAC) Hall of Fame for her service to the organization. She is a recipient of the 2008 Women in Business award from the Triad Business Journal and the 2009 Elaine H. Ernest Visionary Award for service to GRRA. She has also served as a member and chair of the City of Greensboro Planning Board; member of Altrusa International of Greensboro; and a visionary GEM for the Women’s Resource Center of Greensboro.